The last time I saw Them! was over 20 years ago, so heading into this I wasn’t expecting much more than 50’s camp. But after last night, I’ve gotta admit: for a movie about giant ants invading LA, Them! was surprisingly solid. 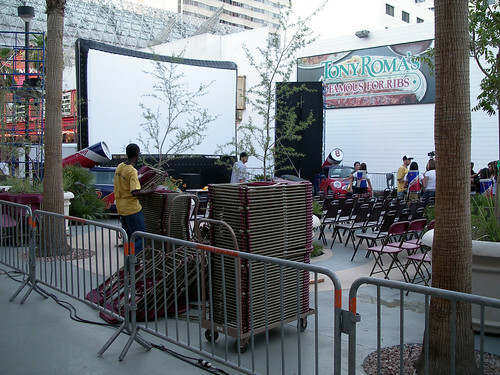 Setup, just beyond the Fremont Street Experience on 3rd Street. Behind the first cluster of chairs were a handful of Cadillacs, followed by more chairs, Red Bull cars and free refreshments. Not really a drive-in at all, but still fun. Attendance was great and all the seats were full. It attracted quite a bit of attention; people would wander over from Fremont and watch the movie from the sidelines for a few minutes at a time until shooed away by security guards. 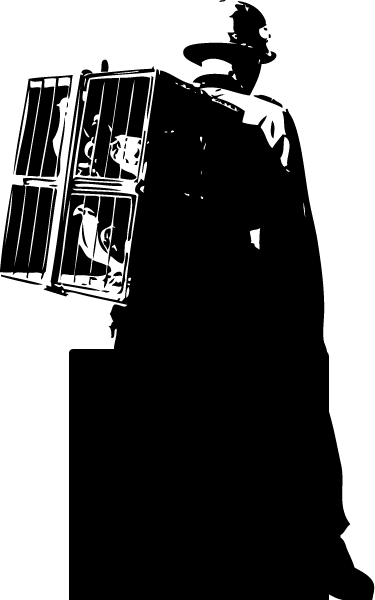 Here’s hoping that the show was enough of a success to carry the idea beyond Cinevegas. 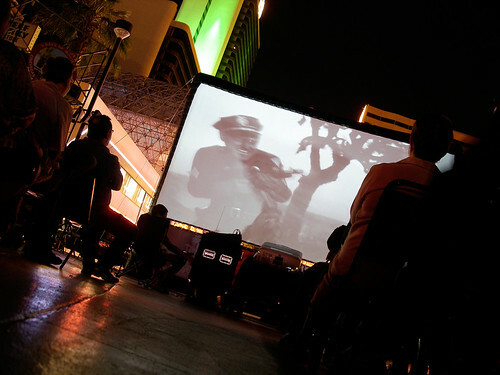 I’d love to see them continue this monthly, either here or better yet, in collaboration with the Las Vegas Drive-In.